Cadillac has done it again. 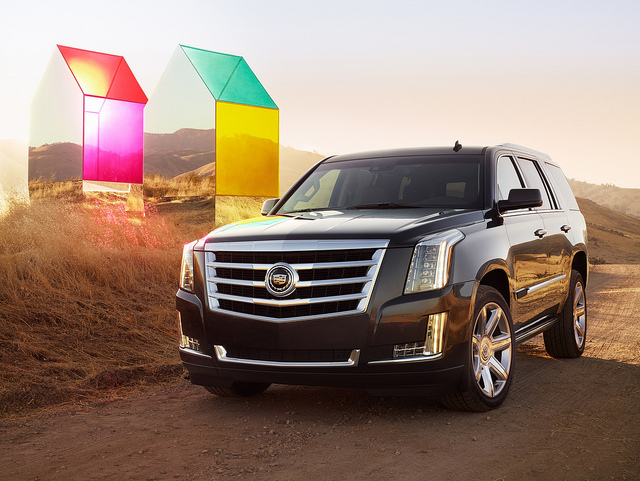 The Escalade that is set for release later this year is a mean feat of engineering. With the classic Caddy looks and all of the tech features that modern drivers crave, it’s a world apart of Cadillac’s of old. During the course of the last few years, the Cadillac has undergone something of a makeover. The older Caddy’s were known for being mean, lean machines. But the last ten years have seen some pretty drastic changes for the car giant. Now, they are lighter in their design. They hold a lot of appeal to mass audiences. They are somewhat more sport when it comes to styling. Let’s face it; the Cadillac has been something of a snore. But, the Escalade is set to change the way that we think about Cadillac’s. It’s got all of the old school features that Cadillac fans know and love. But, of course, it is decked out with all of the technological advancements that car owners in 2015 demand for their vehicles. The Escalade, it seems, is a clash of the old and new worlds. The Escalade is akin to a box. There is no other way to put it. The car is incredibly square. It oozes manliness. It’s vast, enormous and unapologetic. The boxy design, however, is part of the appeal for many. It has a truck like appearance that people are sure to love. The steel body makes it safer than ever before. But, the grille and headlamps are vast. Browse www.SmithChevyLand.com to take a look at exactly what we mean. The SUV is set to be a more efficient model than previous attempts. It’s a great car that can achieve some serious speed, despite its gigantic size. The active noise cancellation, however, is a must for the car. The roar of the engine can help keep the cabin quiet. Of course, some people love to hear the V8 engine kicking in. But, others prefer more silent time on the road. And, that’s what you get with the Escalade. The Escalade can be sought out in a 5.3 litre capacity. With 350 BHP and a V8 engine, it’s not a car that can be taken lightly. The engine will be packed out with variable valve timing, direct injection and cylinder deactivation technologies. But, all of this has been done to ensure that the Escalade is as fuel efficient as can be. Naturally, a car of this size will not see you make tremendous savings when it comes to fuel. Let’s face it; you wouldn’t buy a car like this if you wanted maximum efficiency. What’s New With the Tech? Technology has come on leaps and bounds with cars. The Escalade is stuffed with the entire tech that you need. Mainly, the focus is on safety. Cruise control is a must. But, radar based security systems are a niche feature. The forward sensor alert system can actually prevent crashes. Of course, the car also has lane departure sensors and can ensure that blind spot monitoring is done in-care too. Wow. You may able to take your eyes off the road with this one. It’s as close to getting to a driverless car than ever before.